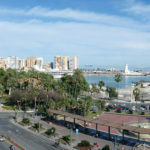 Welcome to Malagatransfer.co.uk website, we can provide an excellent service of Transfers and private taxis on any destination of Malaga province and the Costa del Sol, Spain. From our reservation page you can request a quote for your private transfer at any time. Once filled in the form and pressed the send enquiry button, we will contact you as soon as possible to offer our best prices on airport transfers. You also have a shortcut in the upper where you can select the destination, where your hotel is located or you would like to travel. All drivers are multilingual having all the required licenses. Our staff will assist you in the most professional way possible explaining any doubt. We have the best brands of cars and buses in the market; our private taxis and transfers are always insured and revised. With our buses we can transport more than 18 passengers; perfect for excursions and day trips to Malaga and vicinity. We care about maintaining the quality of service from the moment you contact us until you get to your destination. Forget the hassle of waiting in endless queues upon your arrival at the airport. Enjoy the convenience of ordering your quotation online and knowing the price for your transfer from the very beginning, without surprises. We care about the safety of children with child seats. 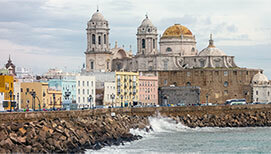 Direct Malaga airport transfers to your holiday destination. 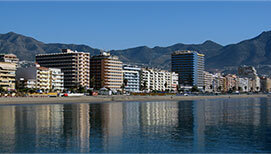 Day trips, tours and excursions around Malaga and other provinces of Andalucia. Malaga hosts some of the best golf courses in Spain and Europe. Now is a good time to enjoy this sport, we provide you Golf transfer from your holiday hotel. Stag and Hen Do's transport and First class wedding limousines. 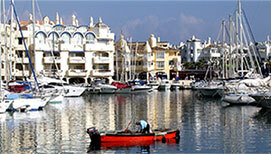 Get a private vehicle at your disposal in your Costa del Sol travel. Learn more information about transfer services from Malaga airport. Our company Malagatransfer has a fleet of vehicles that are ideally suited to the needs of our customers. For the transfer of small groups we offer three categories: Standard (Ford Mondeo), Executive (Mercedes E-Class) and Luxury (Mercedes S-Class or BMW 5 Series GT), from lowest to highest in reference to the quality of the vehicle. These three categories of vehicles have in common providing transportation for between one and four passengers. We also offer transfer service for up to 7 passengers with our Mercedes minivan. We have minibuses with capacity to travel with a maximum of 12 passengers, and a vehicle that can carry up to 19 people. However, if the group is even larger, we have no problem as we have buses with 26 seats, and one of 54 seats. 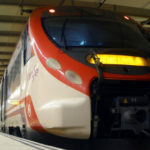 Click on the links below to find out the best way to reach your destination from Malaga airport including relevant information on the most interesting facts of each place.
" Used the taxi transfers on weekend starting 30/09/16, top class, drivers were friendly, helpful and punctual. Top class cars and service. will be using them again on our next visit. Thankyou"
" Used Malagatransfer 20/6/2016 for private transfer to Nerja, sent a lovely BMW for us and 27/6 a Mercedes back to airport. A truly efficient service and worth every penny. Courteous drivers. Will use again if in that area."